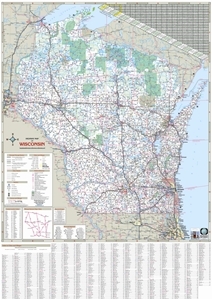 Manufacturer: Milwaukee Map Service, Inc. 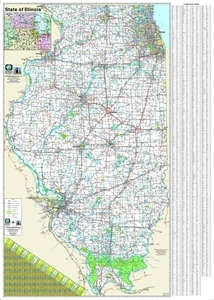 Showing the Interstate System, State & County Highways. 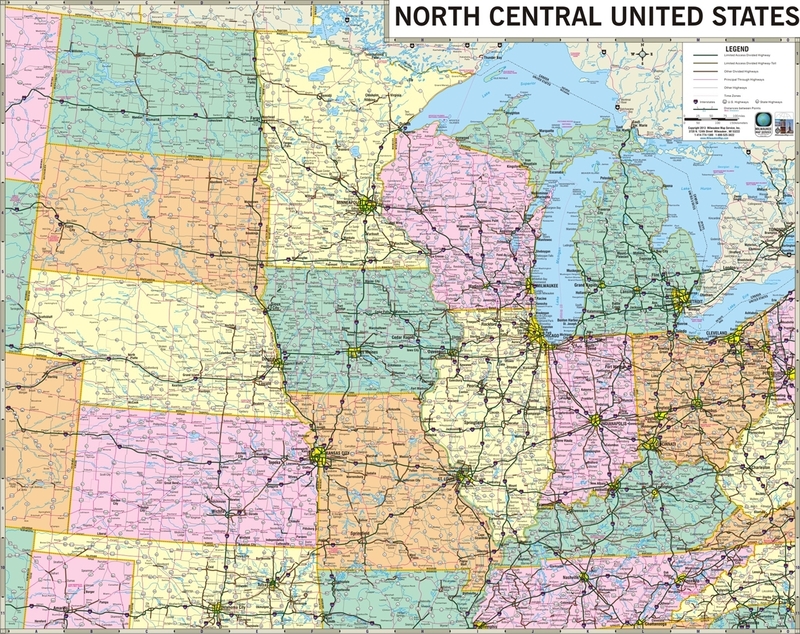 Also shown are the Universities, Colleges, Airports & Hospitals. 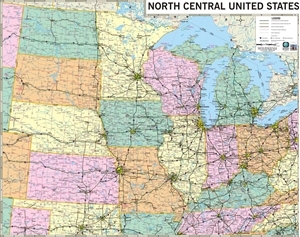 Publisher / Manufacturer Milwaukee Map Service, Inc.
North Central United States Highway Wall Map - SIZE 48" x 38"
North Central United States Highway Wall Map - SIZE 60" x 48"